Jon Audain is a KS2 teacher and experienced education author. Several years experience of teaching at KS1 and KS2 with a particular interest in developing ICT skills across the curriculum. I also have experience in Initial Teacher Training and delivering CDP. Contributor to several publications on the subject of intergrating ICT effectivley into the curriculum. I was editor of MAPE (Micros and Primary Education) publications for nine years. I now work as an independent consultant and author. Sara worked as a primary class teacher before becoming a National Numeracy Strategy consultant. She is now a freelance education consultant working mainly for BEAM and London LEAs. Sara has used the interactive whiteboard for demonstration lessons and has observed exciting and stimulating mathematics lessons using the IWB. Sara has written IWB lessons for Scholastic and Cambridge-Hitachi as well as other mathematics publications for PCET and Heinemann. As an ex-primary school teacher he has experience of all age groups. 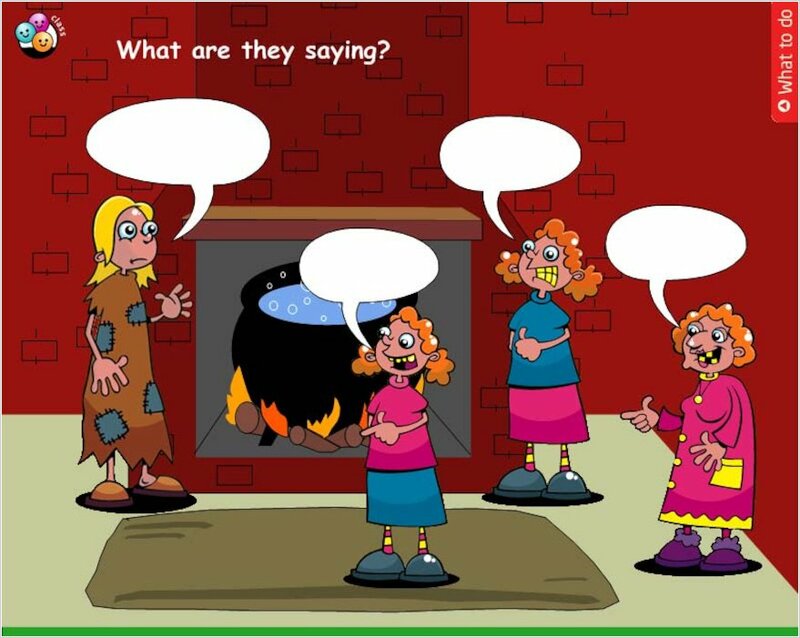 Previous work has included producing Interactive Whiteboard training material for teachers and producing example geography and ICT lessons for the DfES. He has also co-authored a set of books on the weather, this subject being a particular interest of his. She has always enjoyed taking part in geography projects and co-authored the Primary ICT Handbook: Geography. She particularly feels strongly about the benefits of using ICT to help children to see the links between photographs and maps. 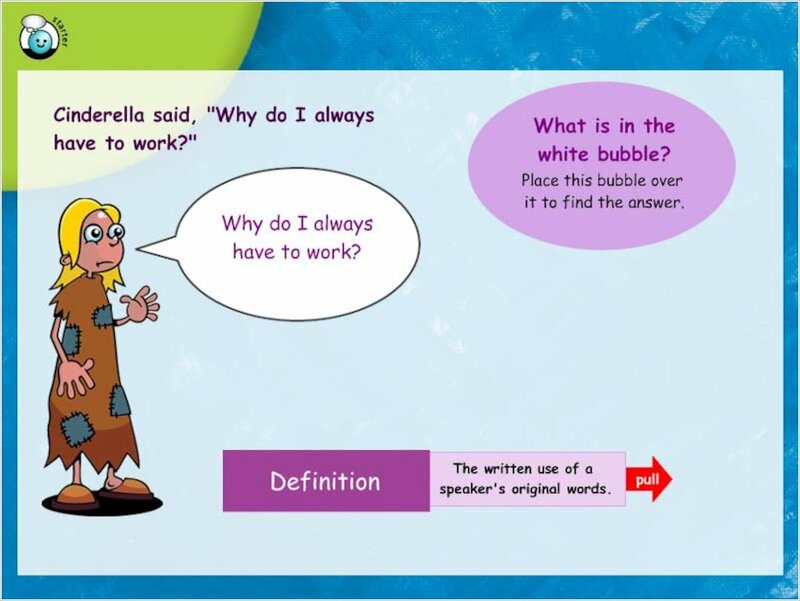 Having used the 100 Smartboard lessons book in my classroom this session, I have found it to be of great benefit to both my teaching and the learning of my pupils. What makes this resource different from other teaching books is the inclusion of the CD-Rom. This invaluable resource has saved me so much time in locating resources for certain lessons and provides very motivational and stimulating ready made lessons which are entirely relevant to the school curriculum. I have found the book to be well structured and very easy to follow. It has a clear list of contents and concise instructions as to how to use the CD-Rom. 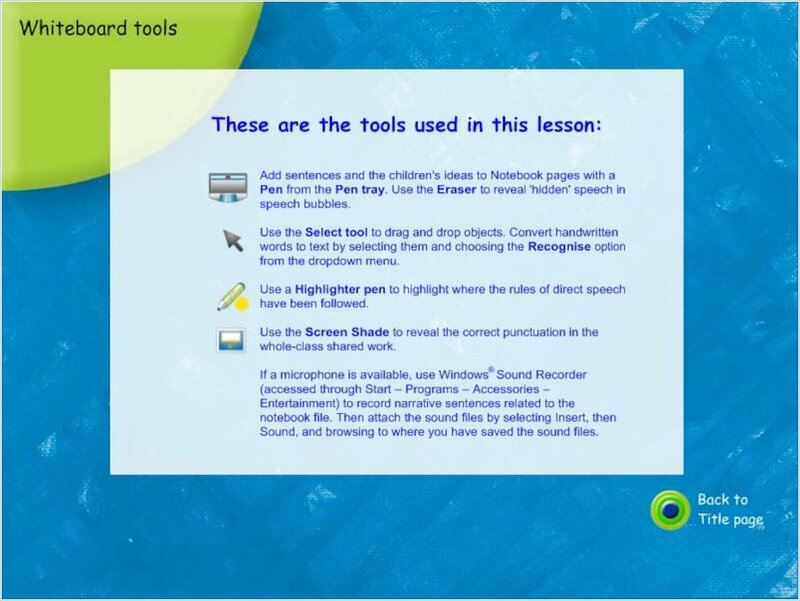 The instructions in the teaching resource are broken down into easy to follow steps so that even inexperienced computer users can interact with the CD-Rom. Each section has a very useful table which details the topic of each individual lesson, it’s objectives and potential cross curricular links. This is very useful with the new curriculum for excellence. I was very impressed with the CD-Rom and found the range of quality lessons to be very good. 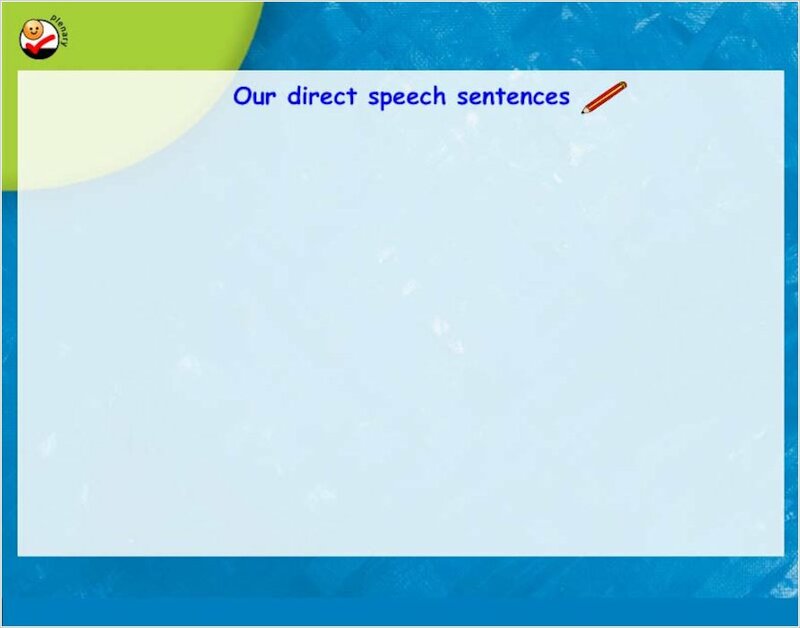 Each lesson didn’t just have one sheet for use on the smartboard but a whole host of sheets to take the children through the lesson one step at a time. The CD-Rom was very easy to navigate and I liked the way that in addition to the lessons, there are also photocopiable sheets to print as well as editable planning grids. This resource is very up to date and with schools really pushing the use of smartboards in the classroom these resources are absolutely invaluable. I found that using the computer technology helped to motivate and stimulate the pupils more. This meant that rather than them having to listen to me tell them something, they were actually able to see it themselves as well as interacting with it. 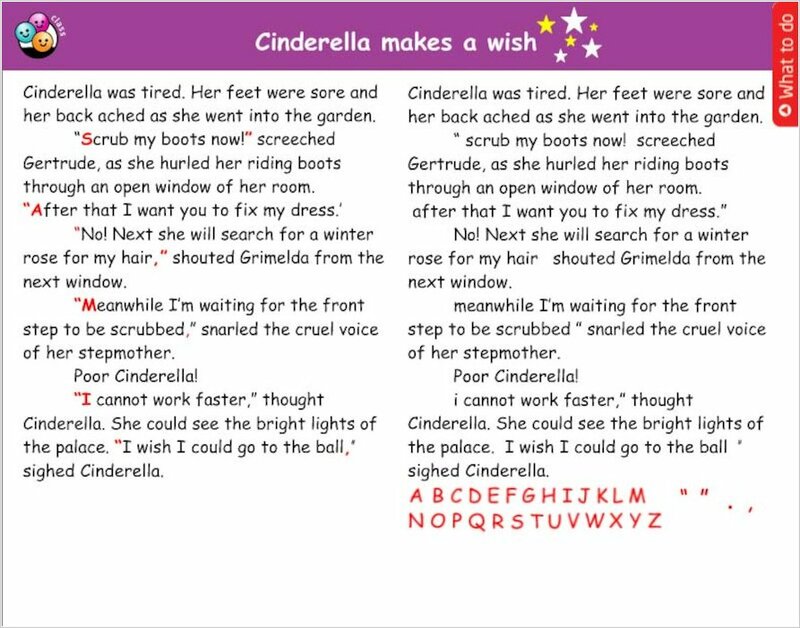 It also made some of the more ‘dry’ areas of work like capital letters and full stops much more interesting and interactive. The children thoroughly enjoyed exploring the CD-Rom lessons and were without a doubt, much more motivated and interested. Also, having been teaching my class their times tables recently, I was delighted to find a lesson based on the 2, 5 and 20 times table. After hours of going over the tables and encouraging the children to practice at home, they were getting quite fed up of this! The smartboard lesson really picked them up again and the children enjoyed the interactive parts on the CD-Rom where they are sorting numbers and answering their times table questions. Another useful feature is the fact that the photocopiable resources are also included on the CD-Rom. This enabled me to show the children what they were going to be doing on the smartboard and also enabled me to demonstrate how I wanted this to be done. It also means that the worksheets and photographs can be printed out directly from the computer. The teaching book is split up into different sections which link well with the curriculum. 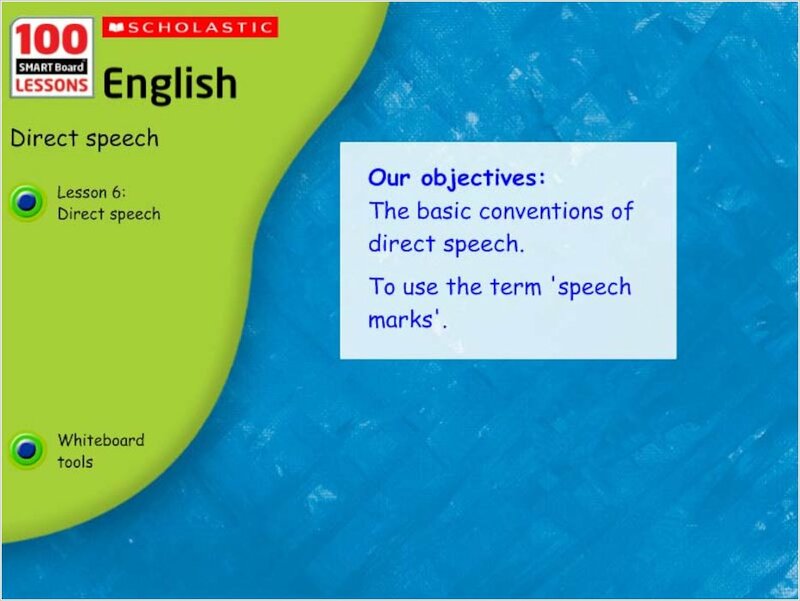 Each section is made up of a number of lessons and individual lesson plans are very detailed. They clearly state the learning objectives, resources required, links to other subjects and the whiteboard tools required. Each lesson plan begins with a lesson starter, then it goes on to detail whole-class shared work before detailing independent work and then a lesson plenary. I found these lesson plan suggestions to be very useful and found that they often further extended my own lesson plans and questioning of pupils. When teaching subjects, it can be easy to find yourself sticking with follow up activities which were are all too similar so I found these ideas to be very useful and found that they provided a fresh approach to my lessons. By using this resource I have found that it has helped with my time management as it has saved me time when planning lessons. The book gives ideas for lessons related to the curriculum for excellence and by suggesting discussion and activity ideas I can use the book rather like a reference, sometimes taking the lesson as it has been written and using it or at other times selecting parts of the lesson which are relevant to my classroom. Overall I rate the 100 SMARTboard lessons very highly and find them very cost effective in terms of educational aims and results as well as price. I would definitely recommend these resources to others and find them to be an integral part of my teaching. Teacher, Lorna Lloyd from Lothian takes a closer look at 100 SMART Board Lessons Year 3/Scottish Primary 4 for us. 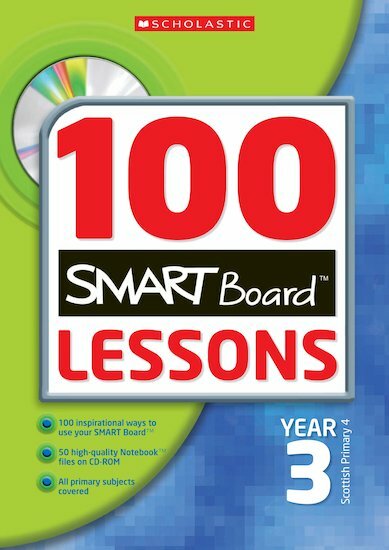 Having used the 100 Smartboard lessons book in my classroom this session, I have found it to be of great benefit to both my teaching and the learning of my pupils. What makes this resource different from other teaching books is the inclusion of the CD-Rom. This invaluable resource has saved me so much time in locating resources for certain lessons and provides very motivational and stimulating ready made lessons which are entirely relevant to the school curriculum. I have found the book to be well structured and very easy to follow. It has a clear list of contents and concise instructions as to how to use the CD-Rom. The instructions in the teaching resource are broken down into easy to follow steps so that even inexperienced computer users can interact with the CD-Rom. Each section has a very useful table which details the topic of each individual lesson, it’s objectives and potential cross curricular links. This is very useful with the new curriculum for excellence. I was very impressed with the CD-Rom and found the range of quality lessons to be very good. Each lesson didn’t just have one sheet for use on the smartboard but a whole host of sheets to take the children through the lesson one step at a time. The CD-Rom was very easy to navigate and I liked the way that in addition to the lessons, there are also photocopiable sheets to print as well as editable planning grids. This resource is very up to date and with schools really pushing the use of smartboards in the classroom these resources are absolutely invaluable. I found that using the computer technology helped to motivate and stimulate the pupils more. This meant that rather than them having to listen to me tell them something, they were actually able to see it themselves as well as interacting with it. It also made some of the more ‘dry’ areas of work like capital letters and full stops much more interesting and interactive. The children thoroughly enjoyed exploring the CD-Rom lessons and were without a doubt, much more motivated and interested. Also, having been teaching my class their times tables recently, I was delighted to find a lesson based on the 2, 5 and 20 times table. After hours of going over the tables and encouraging the children to practice at home, they were getting quite fed up of this! The smartboard lesson really picked them up again and the children enjoyed the interactive parts on the CD-Rom where they are sorting numbers and answering their times table questions. Another useful feature is the fact that the photocopiable resources are also included on the CD-Rom. This enabled me to show the children what they were going to be doing on the smartboard and also enabled me to demonstrate how I wanted this to be done. It also means that the worksheets and photographs can be printed out directly from the computer. 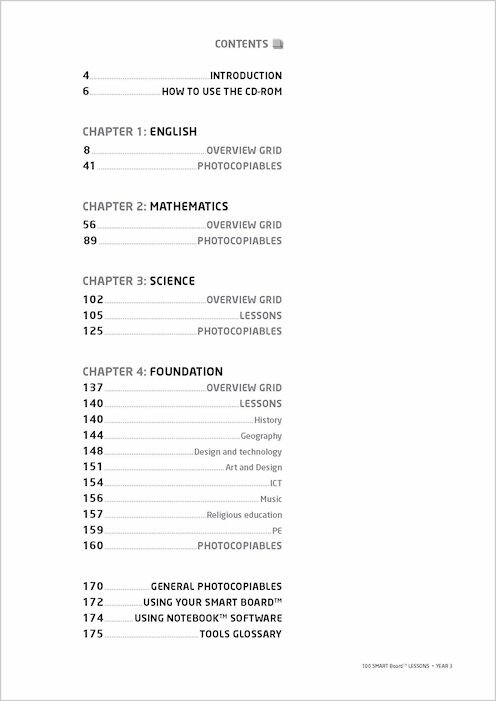 The teaching book is split up into different sections which link well with the curriculum. Each section is made up of a number of lessons and individual lesson plans are very detailed. They clearly state the learning objectives, resources required, links to other subjects and the whiteboard tools required. Each lesson plan begins with a lesson starter, then it goes on to detail whole-class shared work before detailing independent work and then a lesson plenary. I found these lesson plan suggestions to be very useful and found that they often further extended my own lesson plans and questioning of pupils. 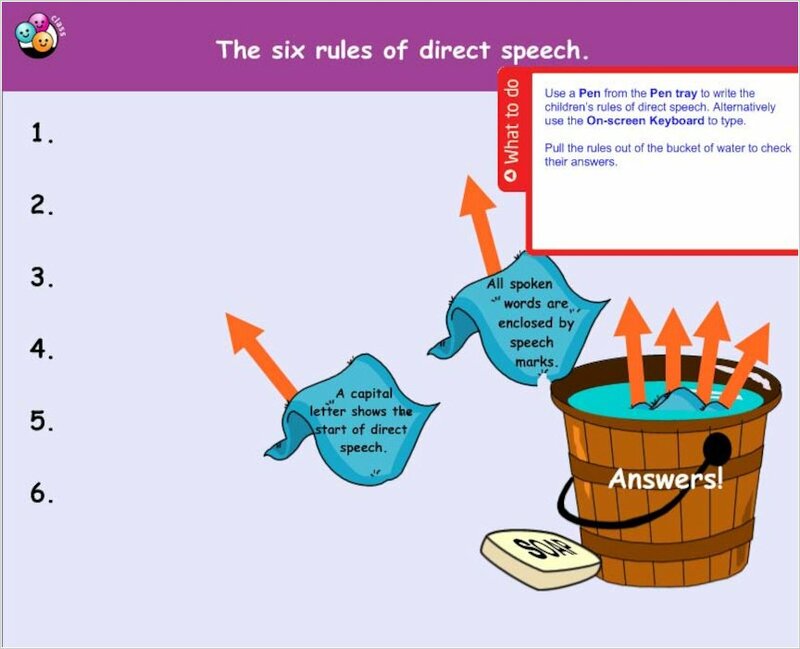 When teaching subjects, it can be easy to find yourself sticking with follow up activities which were are all too similar so I found these ideas to be very useful and found that they provided a fresh approach to my lessons. By using this resource I have found that it has helped with my time management as it has saved me time when planning lessons. The book gives ideas for lessons related to the curriculum for excellence and by suggesting discussion and activity ideas I can use the book rather like a reference, sometimes taking the lesson as it has been written and using it or at other times selecting parts of the lesson which are relevant to my classroom.